Villa Pourzand is a unique family owned wedding venue in one of the oldest buildings in Cottesloe. When you first walk up the stairs to enter the main function room, you are surrounded by timeless elegance and style. 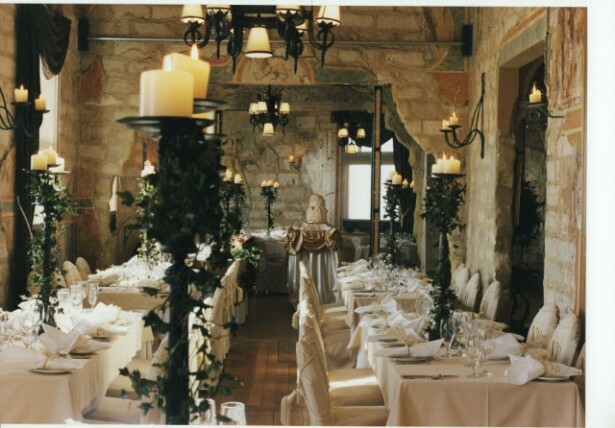 The French Renaissance inspired décor and the elegant candelabras make you feel like you have stepped back in time! It truly is one of the most unique wedding venues in Perth. We spent a few minutes with Melissa, the Manager of Villa Pourzand to find out a bit more about this unique Perth wedding venue. What is it that couples really love about Villa Pourzand? Couples love the décor because it is so unique and beautiful. Plus, it is a family operated business with a friendly team. 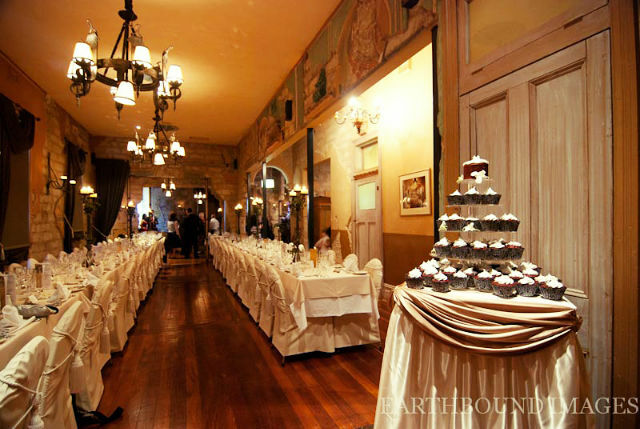 What is the one piece of advice you would give to a couple when choosing their wedding venue? Make sure they offer everything you want, if you can get a deal that is al- inclusive it makes things a lot easier. The day of a wedding must be busy and exciting at Villa Pourzand after months of planning with couples? Tell us what goes on behind the scenes? We like to remain very calm and organised prior to the day but we are busy helping finalise all the details such as running sheets, menus and special meals. We are also available to help the bride and groom with last minute requests if something arises. On the day we finalise the finer table decorations and of course the chefs are busy preparing all the delicious food. What are your favourite wedding trends of this year? I think for this season we have seen some beautiful lace dresses and of course the candy buffet and photo booths – which everyone loves! They generate smiles and a lot laughter and that is what a wedding day is all about – good food, great friends and everybody having an awesome day. Which do you prefer, Summer weddings or Winter weddings? At Villa Pourzand we operate all year round, as we are purely an indoor function centre. If it is raining outside on the big day then it is not a problem. Alternatively, if it very hot we have heaps of air conditioners to help keep you and your guests cool. If you could describe your venue in three words, what would they be? Read more and check date availability at Villa Pourzand.